Looking for self storage units or container storage in Croydon? High-quality self storage units in Croydon, without the high price. Containerstorageunits.co.uk was established to bring London and the South East a more accessible, affordable and fully-flexible approach to short and long-term storage. 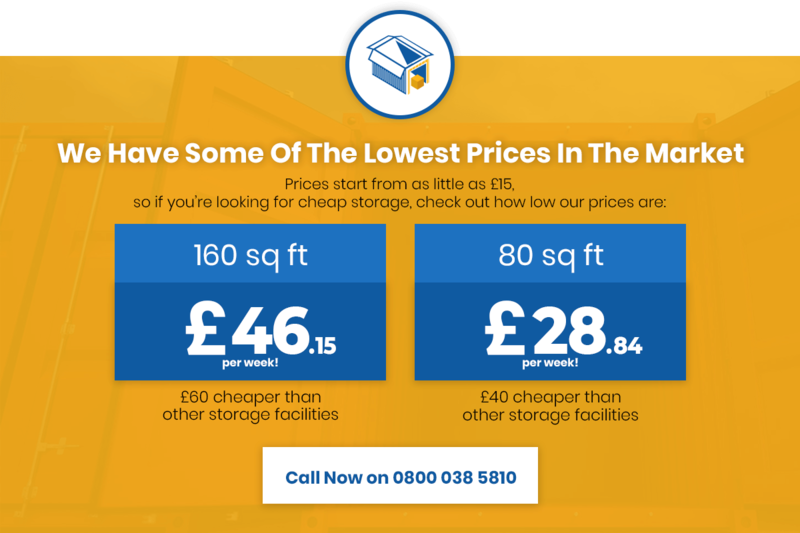 From the smallest self storage units to full-scale shipping container storage in Croydon, you’ll find everything you need right here for the lowest possible price! For domestic customers, our simple storage units in Croydon are useful for temporary and long-term needs alike. For example, moving house can be made so much easier with a storage unit for your possessions, giving you all the time you need to clean, decorate and move in as slowly as you like. If downsizing, self storage container units in Croydon represents a great alternative to selling or giving away possessions and pieces of furniture you might want to hang onto. Or if you simply don’t have enough space at home to accommodate everything you own, bring it our way and we’ll ensure it’s taken care of! On the business side of things, we offer a comprehensive range of self storage container units in Croydon for commercial and industrial use alike. If looking to store items temporarily during refurbishments, we’ve got the short-term options to suit. If you need a semi-permanent storage unit to be used for holding inventory, we’ve got you covered. Or if you have much larger storage needs for any duration whatsoever, we’ve got the space, the storage units and the experience to deliver. Along with our standard vehicle storage services, we’re also proud to offer a full-service caravan storage in Croydon. From our conveniently-located facility just off the M25, we can provide caravan storage in Croydon on a long or short-term basis as required. We can watch over your caravan, RV, trailer, motorhome, boat or any other vehicles as necessary over the winter, or for any period of time you need. We offer vehicle storage in Croydon that’s not only safe, secure and flexible, but available for at least 30% less than standard market averages. Our full range of services and storage solutions is uniquely diverse. If you’re looking for a quality container in Croydon to expand storage space on your premises, we can help. Likewise, we’ve also got a wide range of office containers, canteen cabins, toilet facilities and so much more to offer. Regardless of the size, the nature or the needs of your business, you’ll find exactly what you need right here at the lowest possible prices. Speaking of which, we stand by our Croydon vehicle storage services in terms of both quality and value for money. In fact, find a cheaper quote elsewhere and we’ll match or beat it – no questions asked! What’s more, if looking for caravan or vehicle storage in Croydon that isn’t listed on our website, chances are we can still help you out. Give our customer care team a call today, or pop by our office for a chat.